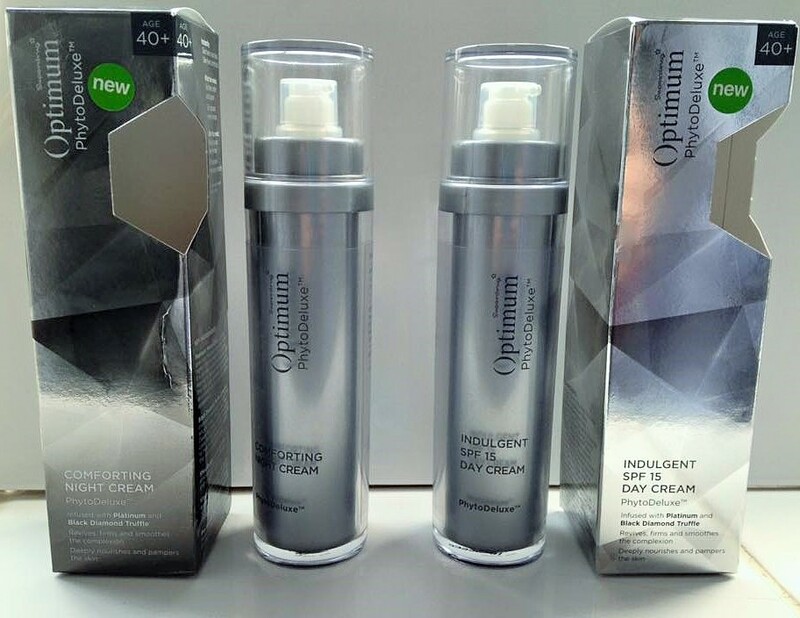 A few weeks before Christmas, I was delighted to be asked to try Two products from Superdrug’s Optimum Phytodeluxe Range which is Targeted at the over 40 age group. 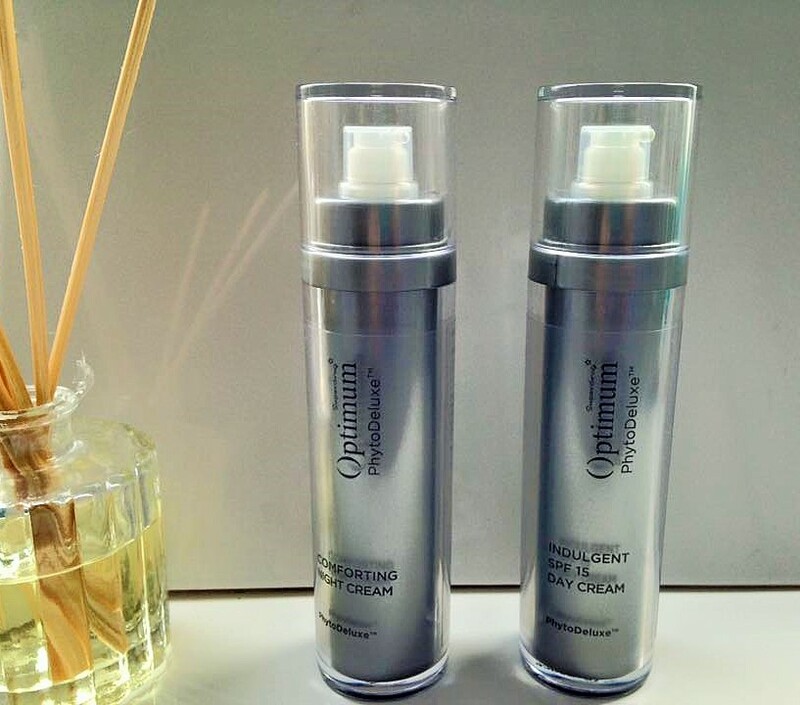 When I receieved their Optimum PhytoDeluxe Indulgent SPF 15 Day cream and Optimum PhytoDeluxe Comforting Night Cream I was very impressed. Firstly the packaging was perfect! Sleek, Silver packaging, with an airtight pump action was great because not only does it make these products look very Unisex but also great at keeping the product inside hygienic. Optimum Phytodeluxe Indulgent SPF15 Day Cream – Infused with Luxurious and Indulgent ingredients such as Platinum and Black DIamond Truffle, this day cream nourishes and pampers the skin whilst reviving, smoothing and firming, dull, slackened skin. As this day cream contains an SPF 15 this is perfect for this time of year. I protect my skin from the sun all year round as I suffer from pigmentation so the added benefit of it here is brilliant. 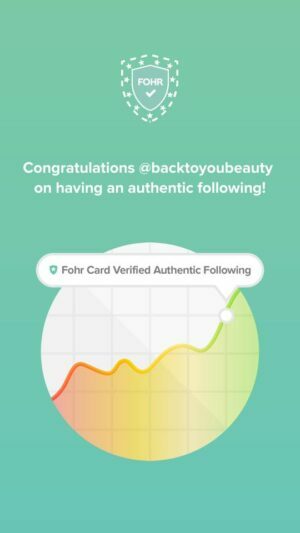 Now, im not going to lie, I do love my “BIG BRAND” skincare products so was just a little sceptical as to how I would find the results. I gave the system a good thorough use for about 6 weeks including over Christmas and new year and was absolutely thrilled with the results! Firstly I was so impressed with how light the day cream was. Some creams that contain an SPF can be quite thick and heavy and just kind of lay on top of the skin. This is nothing like that. I found it super easy to rub in and it absorbed easily. Now I do have dry skin, but with respect I do look after it very well and this sunk in as quickly as other brands that I use! The cream was light to the touch and had a beautiful light “sheen” to it. It immediately made my skin look lighter and brighter and less grey. 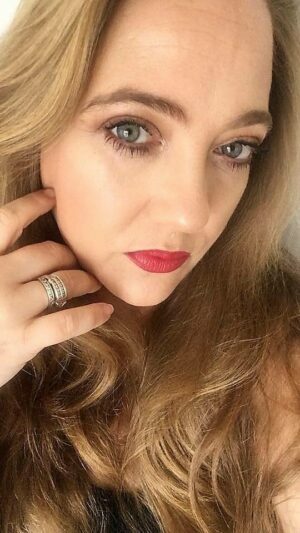 The product sunk beautifully into my skin and kept it feeling hydrated all day (face, neck and decollete) and was a lovely base for my make up. The only teeny tiny little point I would like to mention is the smell, now im not sure whether I like it or not? It is only very slight and admittedly, once its on your face you don’t really smell it, but I found the smell to be a little – plastic….maybe? But we are all different and you may love the smell. However, this does not distract from the results. After a good 6 weeks or so of using, my skin looked brighter, plumper, and more awake than it had been looking. Although my deeper Harry Potter Line between my eyes never changed, the very fine lines at the sides of my eyes certainly plumped up and looked less defined. This Day cream is just £14.99 yes that’s right £14.99 such an amazing prize for such a luxurious product. 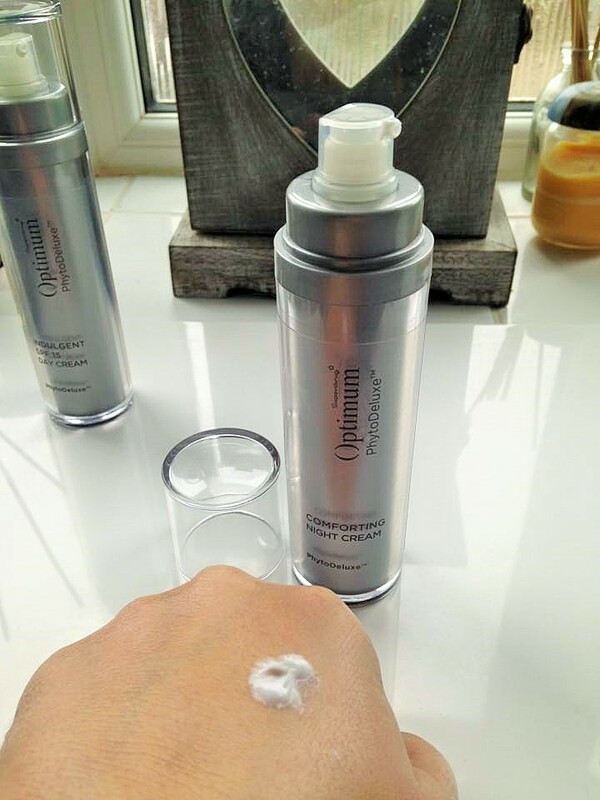 Optimum Phytodeluxe Comforting Night Cream – Again it has all of the aesthetic features of the day cream so it looks sleek and unisex, comes in a pump bottle and same 50ml size. The night Cream also contains Black Diamond Truffle which is amazing at lifting and firming the skin and Platinum Matrix-EM that improves the elasticity in the skin and promotes the synthesis of collagen. Such a powerful anti ageing combination even in a night cream. Again this cream has a similar, but lighter, scent than the day cream. This night cream feels beautiful, its very light yet immediately hydrates the skin, there is no residue left on the skin at all, it sinks in beautifully. 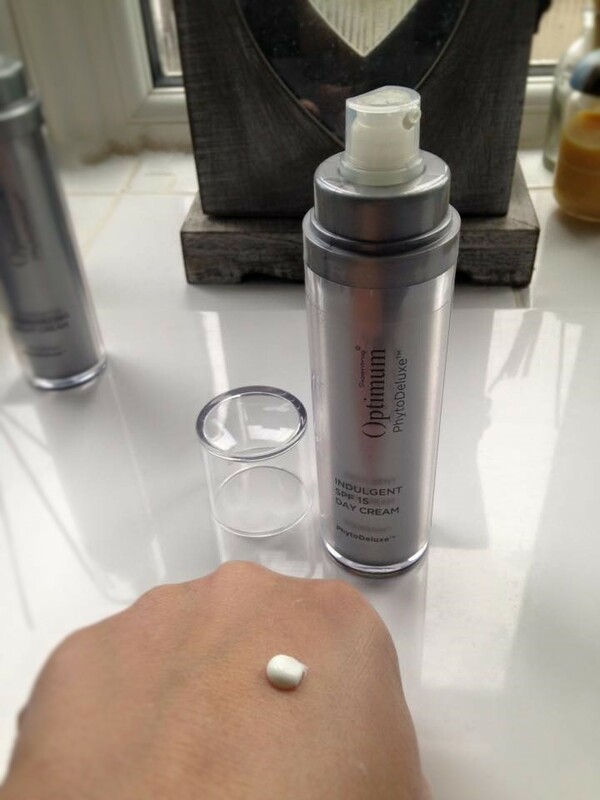 When I wake up after using this my skin looks fresh and feels plump and hydrated. I am absolutely gobsmacked at the level of ingredients used in these products at this price point. These are highly luxurious, yet powerful anti-ageing ingredients that some creams charge ten times the price for!!! Whether you are on a budget or not this collection is a beautiful regime to begin when you are beginning to see ageing. Fine lines, slackening and dull skin can be helped with these products. 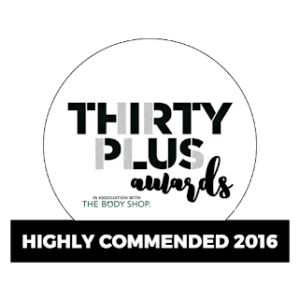 I have thoroughly enjoyed using them and was very, very surprised! I also found that you really need very little product as it spreads really well . £14.99 per item but as I write this they are actually buy one get one free! If I were you I would give it a go. You will also find more items within this range, I cannot wait to try the Serum! I would love to hear your thoughts on this range? Have you tried them yet? If so do let me know your thoughts or have you tried the Serum which I would love to add to this regime. 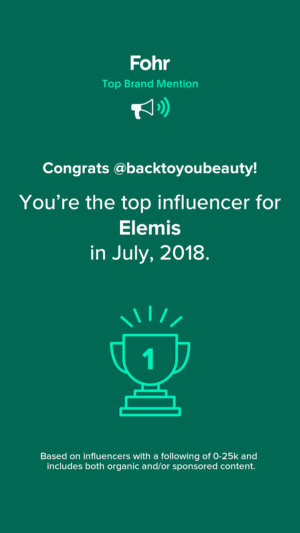 I use Elemis because I have always had very sensitive skin Since turning 41 my skin is dry as a bone and im sallow and dull.No ever my Collagen cream can fix it. However it has NO SFP and the Price , OH MY WORD!It is getting more and more expensive every year. I remember when the moistures was only £32. and Cleanser was £11.00 Most of brands…i have had a go with, and i can name loads…. make my sore and burn. itchy,shiny and doesn't absorb.I 've been looking a loads of reviews and thinking I may give a try.